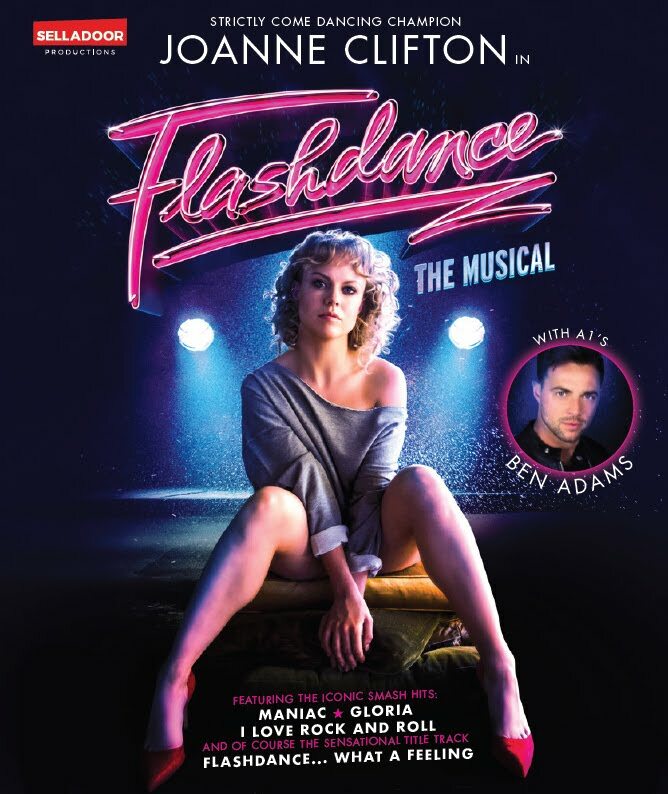 Starring Joanne Clifton (BBC’s Strictly Come Dancing and Thoroughly Modern Millie) and hit singer and Song Writer Ben Adams from boyband a1 the show promises to be a good one. Joanne returns to the stage after a successful time on Strictly and in other shows. She now takes on the role of Alex Owens in the new tour. Joining her is Ben Adams who takes on the role of Nick Hurley. Ben has an incredible set of credits to his name including being part of hit boy band a1, writing and producing and most recently heading straight to the top of the album charts with his classical album One Beautiful Mourning. His first solo album will be launched early 2018. 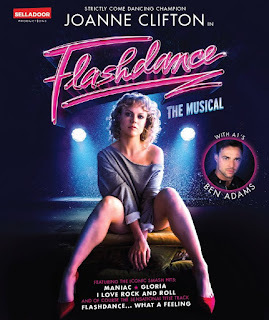 Flashdance follows the story of Alex who is a welder by day and a Flashdancer by night. She dreams of attending the Shipley Dance academy and becoming a professional dancer. When romance complicates her goals, she harnesses it to drive her dream. Alongside hits such as She’s a Maniac and the hit tune What a Feeling this a show not to be missed.